One of the most fun, yet challenging shoots I ever had was the generational shoot for a family as they prepared to head to a wedding. The goal? Capture a spacious family portrait within a small 10x10 studio space. Yeah.... needless to say, Photoshop was my friend on this one! 9 individual pose images comprise this single image. Alyssa & Cole, plus one! Is there anything more exciting than the pending birth of your first child? Pregnancy is a wonderful time in life and deserves to be celebrated. We were blessed with such a beautiful day and I enjoy sharing in this chapter as they unfold the story of their family. A Forever Family for Skye, Cayla and Preston! After months of waiting, it is official... the adoption of Skye, Cayla and Preston by Katie and Joel Longanecker is now complete! 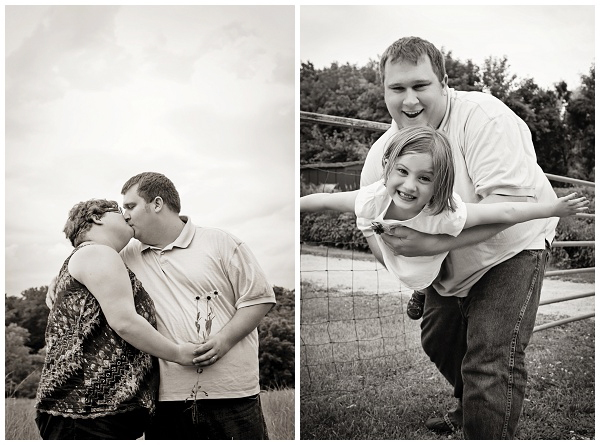 I have been blessed to photograph several families and children of adoption over the years. Some I call my own, others I have come to know as family and delight in watching them grow and change over the years from session to session. But, this one... was different. This was the first time I was part of the process before it was finalized. As Katie, Joel and I planned and executed the session, we were working to document their new family and have ready images for the adoption finalization announcement. It would be the first time they could share online images of their children and we wanted it to be fun and special. What we didn't plan, was how much the children would want to document their new family themselves. Over the course of the 2 hour session, I would find my camera in the hands of the children nearly as much as it was in my own. Instead of battling them to pose for me, we went with the flow and let them design the things they wanted to capture that day. I held the camera and helped with exposure, but the poses and the captured moments were all their own as they looked through my viewfinder and found their own memories at the press of the shutter. One day, I will post my images from the session. But today, you will find below the images that Skye, Cayla and Preston captured. I think it is more beautiful than anything I could have ever dreamed. Seeing their family through their eyes and their eyes alone. Yes! Mommy and Daddy are purposely holding 3 flowers, picked by the kids! Beautiful Skye - This girl has a wonderfully creative eye. She is destined to be a photographer one day! Spirited Cayla - this fun girl is ALL personality and spirit. She will be a handful, but in all the good ways! Darling Preston - still a young heart, but oh... such a darling! The Longanecker's took part it the fundraising campaign to help another adoptive couple - Tony and Tara Cormican. Their session fee went towards this couple as they prepare to adopt a child from Uganda. Want to be a part of this great campaign? Go to 'Giving Back' and learn more! When Zombies are Involved - You Know It Will Be Unforgettable! I pull in to the coffee shop, ready to meet a new family who will become the latest faces in my portfolio. I don't know what they look like, but know how hard can it be to find two parents and three young kids in a coffee shop usually reserved for pretentious individuals on laptops! Inside, I meet three of the sweetest, most charming little kids - speaking of their recent color run, brightly colored shoes and the BBQ chips they have gotten from Caroline. Little did I know at the time, this would be one of those sessions that I will talk about for years. This is a very special family, brought together through adoption. In just a few short weeks, the adoption will be finalized and these photos I am about to take, will be their way of introducing the children to the world as their kids. (During foster car, they can't put the kids photos online, for safety reasons.) So, this session, while wonderfully casual and full of play, will have lasting place in their family. It is the imagery that will cement their family as now complete and the formal start of their forever. I can't imagine a better way of doing that.... aside from the wonderfully perfect zombie decals on the back of their minivan. Congratulations on your beautiful family Katie and Joel, S, C and P. You guys have a beautiful forever waiting for you, even if the zombie apocalypse comes ahead!